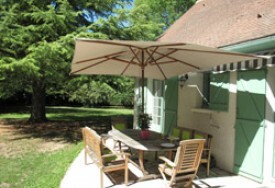 The OREE Giverny - Bed & Breakfast Table Breakfast, open year round, welcomes you! A place to live, relax and enjoy authentic landscapes of our beautiful Normandie.Situé less than an hour from the capital and easy access by motorway A13 or by train. You will quickly pull you come from urban stress and enjoy a break countryside. Our guest house is located less than a kilometer from the village of Giverny, just outside the small village of Limetz City in the Yvelines, near Normandy. Stroll along the Epte (rivers attached to the property), and enjoy a bucolic setting. Comfort and tranquility, a quality home awaits you. We take care of our guests and will make your stay pleasant. To facilitateour exchanges with our international customers , wespeak English , Italianand German . Our rooms are comfortable and equipped with quality bedding for you to enjoy your stay to relax and rejuvenate. One bedroom "Penthouse"of 40 m², 160x200 certified anti-mite mattress brand IMMUCONFORT, lounge suite with possibility of breakfast in your room. Bathroom, walk-in shower, tub, toilet. Entrance with direct access into the garden. Possible privatization of the floor for 4 people (double beds). A room "Comfort" 140x190 bed dust mite mattress certified brand IMMUCONFORT. Bathroom, walk-in shower, bath. Equipment TV + DVD + Home Theater in-room "Elegance"
one night + breakfast included. No experiences yet with L'Orée de Giverny. Be the first! 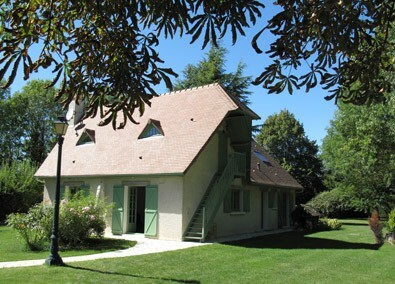 Did you stay in L'Orée de Giverny? Let us know what you thought about it and help others to make the right choice! * I confirm having stayed in L'Orée de Giverny. 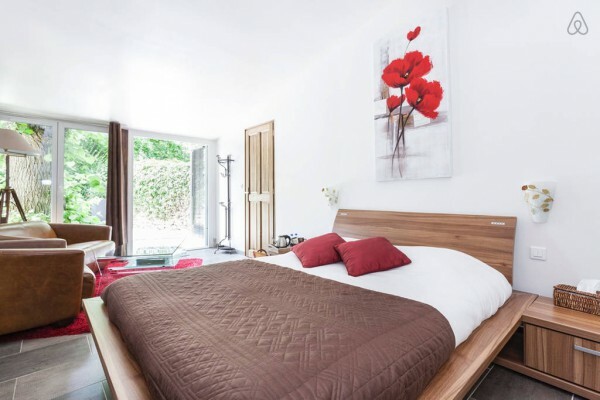 Find other bed & breakfasts in Limetz-Villez or all bed & breakfasts in Paris & Ile-de-France.